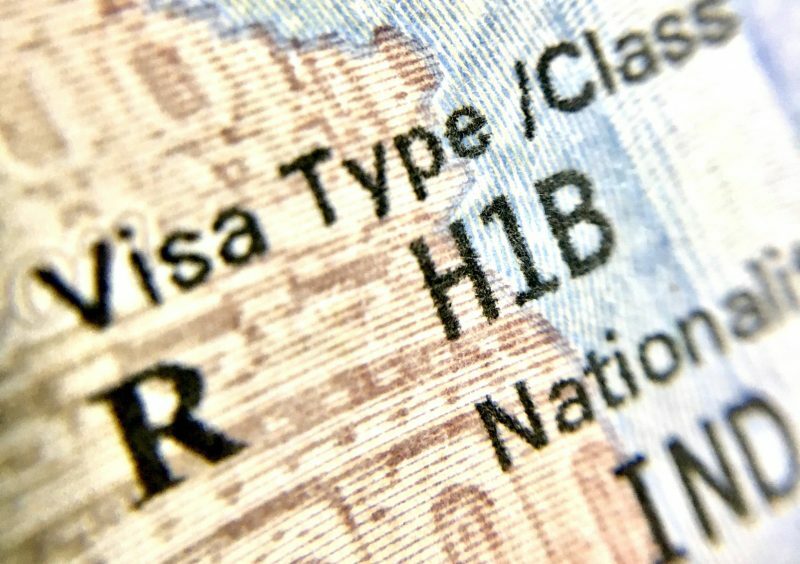 As we reported last week, the Department of Homeland Security has started to ask more questions about H-1B applications (finally) and has decreased the approval rate for new and extended visas. How is this impacting the huge size of the H-1B workforce, which is probably in the area of 700,000? How many jobs now held by aliens now will be open to U.S. workers? My sense, after poring over newly available statistics from USCIS, is that there is no likelihood that the program will be terminated, or that it will be reduced in size, but perhaps the rate of growth will be slowed. To borrow from Churchill, this is not the end of H-1B, it is not even the beginning of the end, but it is, perhaps, the end of the beginning -- i.e., the momentum has finally shifted in the right direction. The adverse impact that a semi-indentured workforce brings to the American labor market is governed by two variables — how many workers are there and how concentrated are they? The most recent data from DHS shows that, at the end of FY 2016, there were some 671,370 approved H-1B petitions, suggesting that the number of H-1B workers in place at that time was a major fraction of that number, say 650,000; the assumption is that there is some non-use of these approved petitions. The number has probably increased a bit since then. As to concentrations, it is well known that most of the H-1B workers are in the IT industry. While the government has published the number of approved petitions at a single point in time, I don't think there are other similar numbers offered for other points in time, so one cannot say anything about the change in the size of the total H-1B population from that source. What DHS has done is to release data on what has happened, in 2018, to the sizes of the H-1B workforces for the largest 30 users of the program. This provides some clues. As the following table shows, the major U.S.-based firms, such as Microsoft, Amazon, and Apple, increased their H-1B workforces during the year, while net reductions were imposed on the big Indian outsourcing firms, such as Cognizant, Tata, and Infosys. Source: Calculations by the Center for Immigration Studies based on newly released USCIS data. The word "apparent" in the title of the table relates to the fact that the government did not provide workforce totals for each of the 30 big users, but did show the approvals for new workers (column 2) and denials of extensions (column 3). In the latter instance, the denials cause the departure of H-1B workers for the companies in question. The net figure, the balance between newly arriving workers and the departing ones, appears in column 4. It would have been better if DHS had published the net numbers rather than making others calculate them. We are making an effort to get someone at DHS to discuss these numbers, but that has not happened yet. I, for one, find it hard to believe that the giant Infosys secured only 69 new H-1Bs in 2018. In the meantime, the outsourcers have filed a cluster of 40 lawsuits in federal court against the new practices of DHS in this regard, saying that the government is trying to put the outsourcers out of business. There is a Little League quality to these lawsuits. A team, which has been winning with average scores of 19 to one (i.e., a 95 percent approval rate) after a while is winning only with scores of three to one (a 75 percent approval rate). Ignoring the number of victories and focusing only the margins of victory, the petulant Little League team goes into federal court, seeking a new set of umpires to get rid of the nasty ones who are accused of conspiring to lower their margins of victory. The petitioner failed to show that the worker had the needed qualifications for the job in question. The second and third of these reasons deal with the outsourcers, while the whole set relates to all H-1B employers. The H-1B employers have relied on the government to not to ask too many questions in prior years, and now that the DHS adjudicators are starting to do so, they are crying foul.